Life is busy. Work, family, school, home, and the list goes on and on. Sometimes that regular appointment with the dentist isn’t easy to schedule. Rest assured, however, it is time well spent. Preventive and family dentistry with Joe Isaacson, DDS in Oklahoma City, OK, is your first step to oral health, a beautiful smile and even overall health. 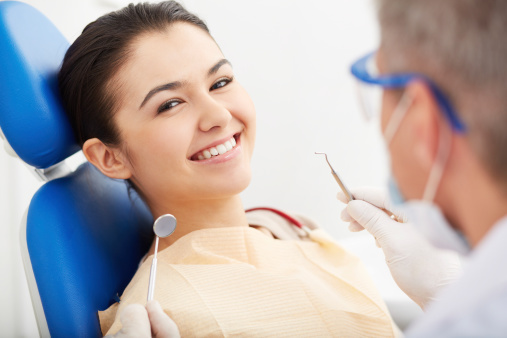 For a healthy mouth, we recommend a check-up with Dr. Isaacson once every six months for you and your entire family. During your visit, your teeth will be cleaned, of course. But beyond that we can monitor your oral health in order to help prevent tooth decay, gum disease, oral cancer and other conditions. Finally, Dr. Isaacson will offer guidance for how you can help keep your oral health at its best by suggesting an at-home hygiene regimen for you and your family. If you are ready to take the first step toward better oral health through preventive dentistry, schedule an appointment today with Dr. Isaacson in Oklahoma City. Our office also conveniently serves patients from Yukon, Edmond, Piedmont, Mustang and more.